Robin Jackson, Acting Director of HEFCE's Corporate Services, has been appointed Chief Executive and Secretary of the British Academy. 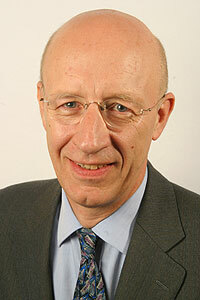 He will take up his new post on 1 September succeeding Peter Brown, CBE. "We will of course be very sorry to be losing Robin, but are delighted for him that he has secured such a distinguished position. He will in fact be bringing to this new post two strands of his previous career in the academic and public policy fields."